Last Thursday, April 29, 2010, marked the 12th anniversary of the passing of Syria’s legendary poet, Nizar Qabbani. It seems like almost yesterday. I recall that I was at the campus of the American University of Beirut (AUB) when I got the news. It ripped like forest fire among young people in Beirut and Damascus, especially revolutionary college students in love either with a sweetheart or a national cause, be it Palestinian, Syrian, or Lebanese. I recall immediately traveling to Damascus, hoping that I can take part in his funeral, which was attended by thousands of Syrians bidding farewell to “Abu Tawfiq,” who draped in the Syrian Flag, was returned to his beloved city Damascus after decades of self-imposed exile in Beirut, Cairo, and London. It was the first time that Damascene women take part in a funeral, including his daughter, grandchildren, and friends—notably, the Syrian novelist Colette Khury. 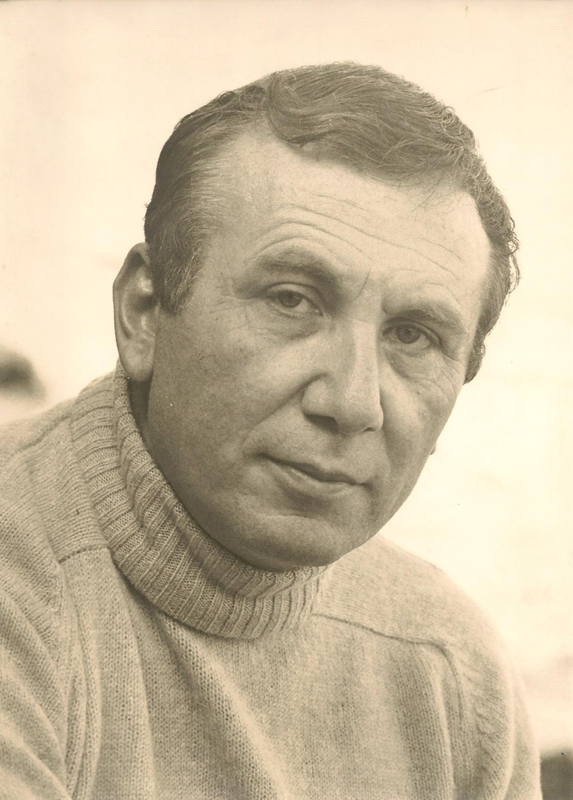 Nizar Qabbani was an exceptional man, who led an exceptional life, and has left behind an exceptional legacy. There is no difference between loving one’s nation, he would say, and loving one’s woman. Nations rise, he added, when the love for woman and nation become so closely interwoven that they are inseparable. On the contrary, the more one is able to show affection for his woman, the more likely he will adore his nation as well, and fight for her—either with the pen, the ballot, or the gun—until curtain fall. All of this can be seen in his unforgettable works, which over 10-years since his passing, still sell well throughout the Arab world. They are books like Tufulat Nahd (Childhood of a Breast), Al-Rasm Bil Kalimat (Drawing with Words), and Qalat Liya al-Samra (The Brunette Said to Me). Politically the bombing of his capital Damascus in 1945 devastated Nizar and so did the war of 1967. When authorities banned him from entering Egypt, Nizar was heartbroken, appealing directly to President Gamal Abdul Nasser whom he had harshly criticized in a poem written right after the war asking: “When will you leave us? The theatre has collapsed over your heads and people in the audience are spitting at you and cussing! When will you go away?” Nasser’s death in 1970, nevertheless, was equally harsh on Nizar, where he eulogized him as “the Fourth Pyramid” and so was the Lebanese Civil War, the 1982 occupation of Beirut, and Yasser Arafat’s peace with the Israelis in 1993. Nizar’s death was sad, but the fact that 12-years down the road, the Arab world has failed to produce a similar legend, is tragic. We have watched, over the last 10-15 years, the passing of great figures like Muhammad al-Maghout, Najib Mahfouz, and Mahmud Darwish. Sadly, there is nobody in Syria, Egypt, or Palestine who lives up to the caliber of these gigantic figures—or even comes close to walking in their footsteps. That is very true for Syrian giants like Saadallah Wannus, Maghout, and Nizar. Nowadays, we find that his poems are being used, left-and-right, by singers wanting to score a quick victory. Poets from all ages cannot escape his style and vocabulary—it is almost as if a poem influenced by Nizar jumps out at the reader and declares its loyalty to the poet. The staff and editorial team at Forward Magazine, wishes to take this opportunity to pay homage to Syria’s legend, Nizar Qabbani. Great tribute to a great talent. women, he can love his country. him hate our women and vice versa. Nizar was indeed something outstanding. We cannot quote Damascus or Syria without mentioning Palmyra, St. Paul, St. John the Baptist, the Omeyads, Dureid Laham or the great Nizar! He is definitely the “fifth Pyramid”. I cannot but agree that Nizar became a symbol of Damascus and an icon for love. His contribution to Arabic poetry exceeded the +600 poems he wrote, to reach new images so deep that they trigger the imagination to reach new limits of beauty and creativity and yet so simple that they doesn’t take a linguist to understand but they are at the grasp of any common Arab.